For the past few months, my oldest (by 15 minutes!) has been weighing heavily on my heart. Something with her was just not right. She was fine physically, no hidden illness or teething or severe colds, but she just seemed to be burdened – at least as much as a 17-month-old could be. My intuition was telling me that it was more than just a phase – something (perhaps her semi-traumatic early birth and NICU stay) was staying with her and causing her emotional distress. I spent quite a few nights researching constitutional homeopathic remedies to see if there was a particular formulation that would help and tried out Calcarea Carbonica and Pulsatilla. Although it helps her during teething, it didn’t seem to be doing what I had hoped. One day, my friend told me about a local herb shop that is run by a naturopathic doctor. She knew the day the ND would be on duty, in case I wanted to visit and see if she could point me in the right direction. When we visited the shop later that week, I was disappointed to find out that the ND wasn’t there that day. I browsed the aisles, full of teas and herbs and all manner of interesting treatments and supplements, when the flower essences display caught my eye. I see the Bach Flower Remedies display every time I buy our homeopathic remedies, but had never given them a serious thought. Flipping through the pamphlets, I was intrigued by the premise and wondered if this would be a good option for my little one. “Can you use flower remedies on children?” I asked the front desk salesperson. It was the ND, she was leaving for a meeting but came out to help me after hearing my question. I described my daughter’s attitude: clingy, couldn’t leave my lap for longer than a few seconds, melted down every time I went more than a few feet away from her; she was just a sad little girl who seemed to carry the weight of the world on her shoulders. It wasn’t that I wanted her to be a completely independent entity – I knew that she might always be more high-contact than her twin sister, and I am fine with that. It’s just that I knew it wasn’t her true self – she has a strong, sweet, and engaging personality somewhere under the tearful and distressed facade. 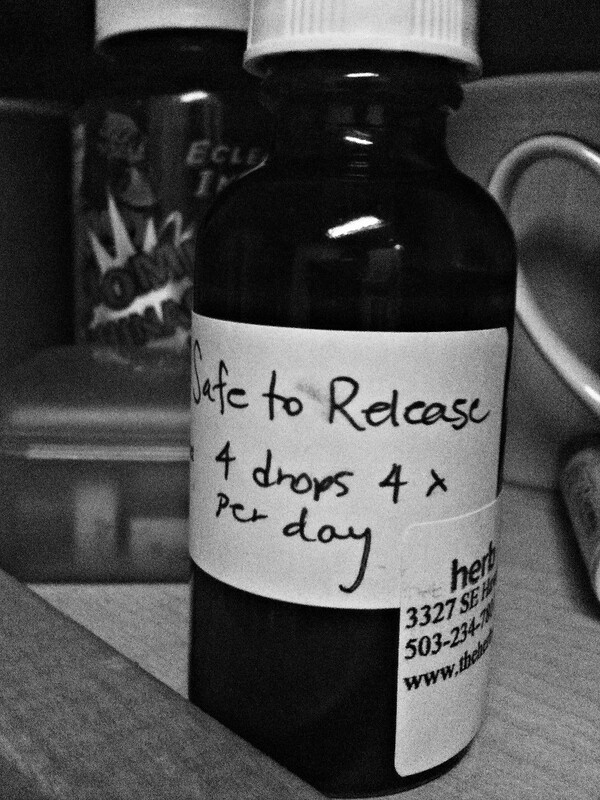 With the bottle of drops and clear dosage instructions, I left with a sense of hope. That day, she did something she hasn’t done in a while. She played. And played. And played. With her sister, by herself, and with me. It was heartwarming and I could have cried with joy. She’s still taking the drops every day, and has her good days and her bad days. She’ll take the drops for at least a month before really evaluating if her deep emotional distress has been resolved, or if she needs more support. So far, we’ve been extremely pleased. The idea behind flower essences is that every single living organism has an energy. Flower essences capture the imprint, or energetic pattern, of each flower through sun infusion, dilution, and preservation. These preparations are then used to treat emotional imbalances that manifest themselves into physical ailments and act as obstacles to our personal growth and our equilibrium as a whole being. Flower remedies don’t heal you, they allow your body to heal itself. We are easily affected by our life experiences, too. Because babies and children haven’t had the life experiences that shape their personalities or “soul patterns,” they respond incredibly well to flower essences. Dr. Edward Bach discovered these distinct flower energies and their effects in the 1930’s while researching homeopathy, and wrote extensively on the subject, focusing on 38 specific flowers. He understood the connection between our emotional state and our physical health, and developed 38 flower remedies to correspond to all types of emotional issues that manifested into physical dis-eases. There are also 103 North American flower remedies and 65 Australian Bush Essences, among others. Wherever you live in the world, there are essences that suit your environment. How Do I Select and Use Flower Remedies? The beauty of flower essences is that, like homeopathy, they are completely safe to self-administer. There are no side effects, and an incorrectly chosen flower essence will result in no effect at all. Flower remedies are chosen by reading their description but they are also chosen intuitively – if you feel that a flower might be “right” for you, then it probably is. There are many helpful guidelines and online questionnaires (here, here, and here) that can help you determine which essence might be right for you or your child. Because flower essences work on a deep level and are catalysts for emotional change, sometimes differences will be noticed gradually. It’s best if the essences are taken regularly for about one month before real changes might be seen. Some essences, like the Rescue Remedy blend, is made for immediate relief. Flower remedies can also be used in conjunction with homeopathy, herbs, and other natural treatments. One of the remedies in my daughter’s mixture is Chamomile, and I asked the ND if this would have the same or similar effect as the homeopathic remedy Chamomilia. She said no, and explained that flower essences are a different energy than homeopathic remedies and so act differently within the body. Another interesting way to use flower remedies is to create a mist to spray in your home. Dilute a few drops of the remedy in spring water and store in a glass bottle. Impatiens: Impatience, irritation, tension, intolerance; time drags – best for moms with toddlers who want to do everything themselves! 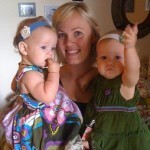 Elm: Overwhelmed by duties and responsibilities, feeling unequal to the task required, including parenting. 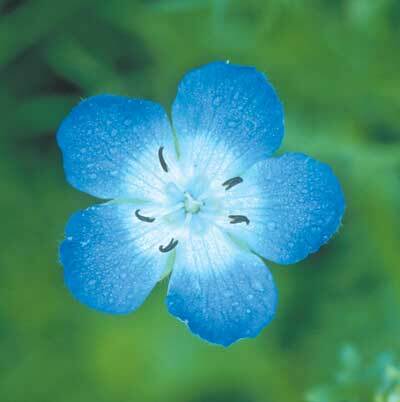 Gentian: Taking small setbacks or challenges to heart, doubt yourself, or have a mild case of the Baby Blues. Hornbeam: Procrastination, fatigue, weariness; daily tasks seen as an overwhelming burden. Red Chestnut: Obsessive fear and worry for well-being of others, fearful anticipation of problems for others, good for first-time mothers who are overly anxious about their newborns or pregnant mothers who are worried about their unborn baby. 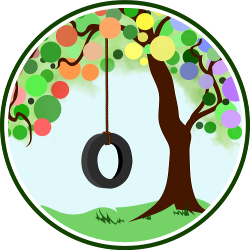 Cherry Plum: When we feel like “taking it out” on the child. Olive: Complete exhaustion after a long struggle, good for pregnant women and new moms. Rescue Remedy: A mix of five essences that will help at times of everyday crisis, stress, and tantrums. Can be used during and after labor, too! Good for everyone. Yarrow: Extreme vulnerability to others and to the environment; easily depleted, overly absorbent of negative influences. Walnut: For protection during change in surroundings or routine, such as a new school or a new sibling. Mimulus: Apprehension, shyness, or fear of the dark. Please Note: Individuals suffering from clinical depression or other mental health issues should contact a licensed mental health professional for treatment. While flower essences will not interfere with other health programs, they do not replace professional medical care if that is appropriate.